Do you need a good cry? Today is the day. Paris can handle your tears. Trust me, I know. All you have to do is make a pot of French Onion Soup. By the time you slurp your last sip, and crunch on the last of the cheesy crouton, you will be renewed. After my brother died everything hurt. The thing was, as bad as it felt, I didn’t really know how bad I was hurting. I tried to ignore it. To keep going. I didn’t want to look my grief in the face. It was an ugly, unwieldy monster. If I allowed myself feel the pain and actually let the tears out, I felt weak. On my brother’s birthday, the first one that came up after he died, I decided to wear all black. I was going to face the pain. I hadn’t even made it half way down the stairs when my foster mom called up to me. She had the thankless job of raising me from the age of 10-19. Her heart was in the right place but, well-intentioned or not, the message I heard was loud and clear. It was not okay to express my grief. In that moment I totally lost my way. 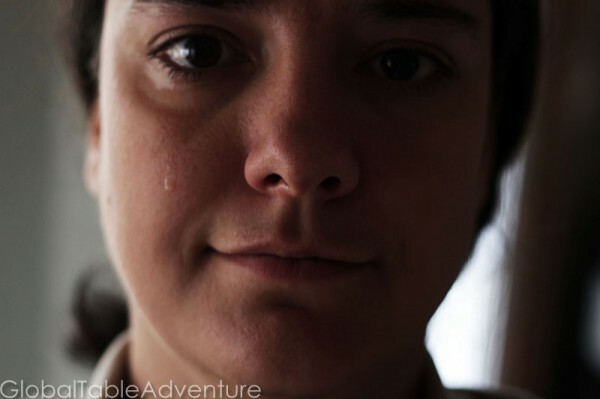 I was in uncharted emotional wilderness. I bumped into that crazy emotion called rage. Let me tell you, the more you hold that stuff in, the worse off you are. It comes out, whether you like it or not – into nightmares, substance abuse, and general lack of self-respect. That’s why it’s so much better to just make a bowl of soup and let it all out. Cry, cry, cry. And then cry some more. This particular recipe is made with white wine, which is always nice on a sad kind of day. Slice five onions. Let the urge to cry overtake you. The fresher the onions, the bigger the tears. 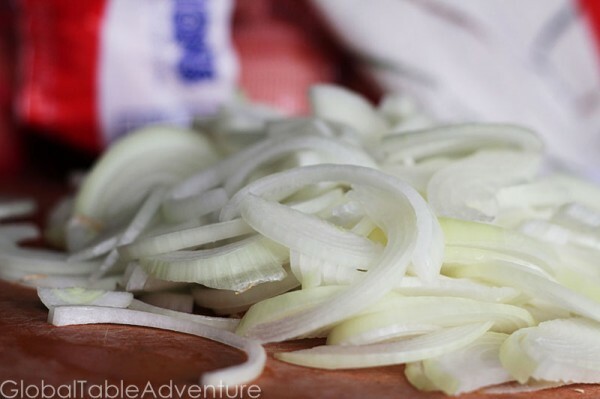 Five onions might be a lot, but it’s totally absolutely worth it. Cook them – in a lot of butter. 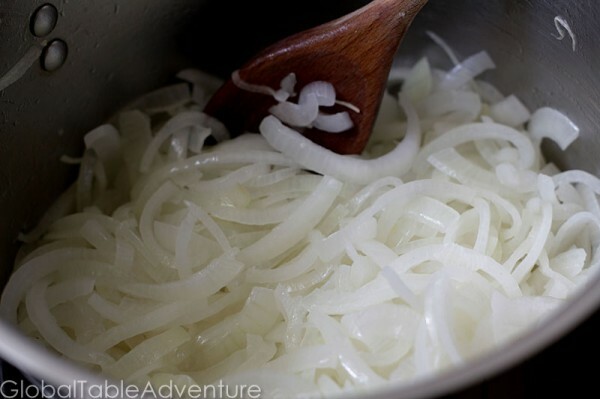 It’s the best thing to do with onions. And, just possibly, tears. 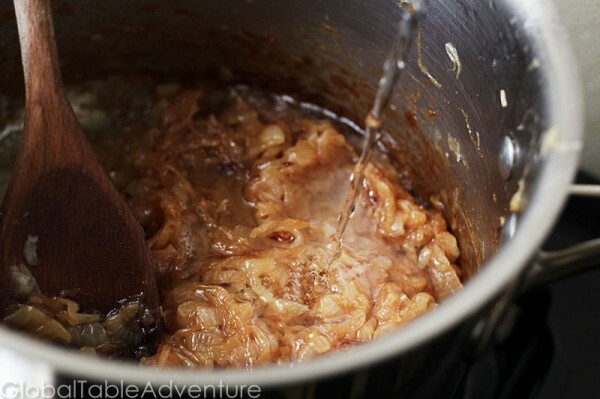 Start with a big pot and high heat, but know this – the onions will reduce to almost nothing. With some luck, your grief will reduce to almost nothing, too. Then they’ll turn golden. Keep going. And going. It’ll take thirty minutes or so. See all those brown, crusty bits? Yum. That’s where all the flavor is. Don’t rush the process. 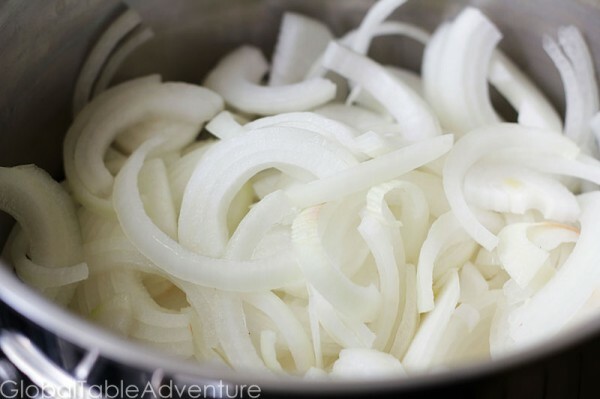 (the crying OR browning the onions). Reduce the heat and keep stirring, especially towards the end. You don’t want to burn them. 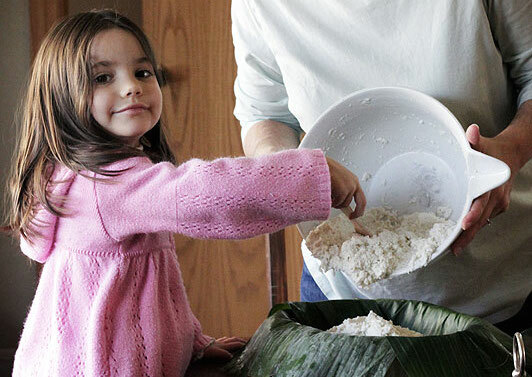 Take it another shade darker for really great flavor, then stir in the flour for a minute. Splash on the wine and water. Scrape the crusty bits up off the pot. And scrape the sad bits off your soul. Release them. Drop in the herbs. Plenty of fresh thyme, parsley, and a bay leaf. You can tie them together or put them in a little cheesecloth. The French call this a bouquet garni. They remove them after cooking. 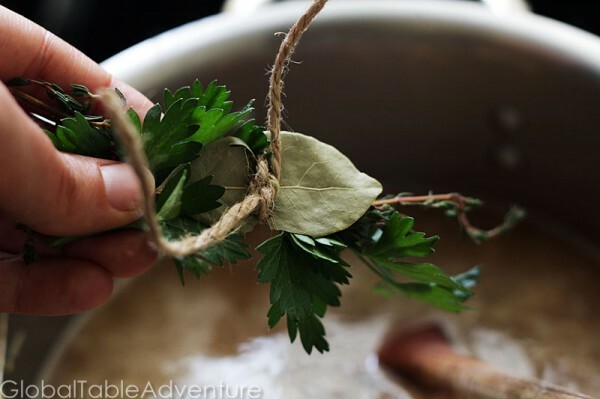 However… you could chop the parsley and thyme up if you’d prefer to leave the herbs in the soup. Now that the crusty bits are released, there’s actually room for freshness to move into your heart. Season with plenty of salt and pepper. Simmer for 20 minutes. Next, ladle into heatproof bowls. Top with a crusty crouton. This was made with our yummy artisan bread. Add the cheese… and place under the broiler until browned. You can also bake it until bubbling and browned. Serve on a cool day, with a big glass of the same wine you cooked it with. It will restore you before, during, and after a good cry. Do you need a good cry? Today is the day. Paris can handle your tears. Trust me, I know. 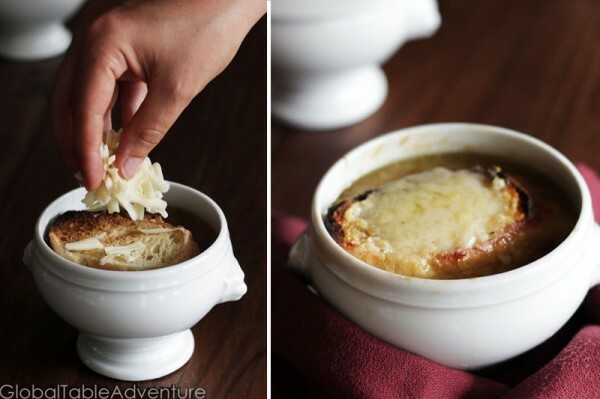 All you have to do is make a pot of French Onion Soup. By the time you slurp your last sip, and crunch on the last of the cheesy crouton, you will be renewed. This particular recipe is made with white wine, which is always nice on a sad kind of day. Slice the onions and cook in lots of butter. Start with a big pot but know they'll reduce to almost nothing. Cook for around 30 minutes. Reduce heat and keep stirring, especially towards the end. You don't want to burn them. Take it another shade darker then stir in the flour for minute. Splash on the wine and water and scrape off the crusty bits off the pot. Season with plenty of salt and pepper and simmer for about 20 minutes. 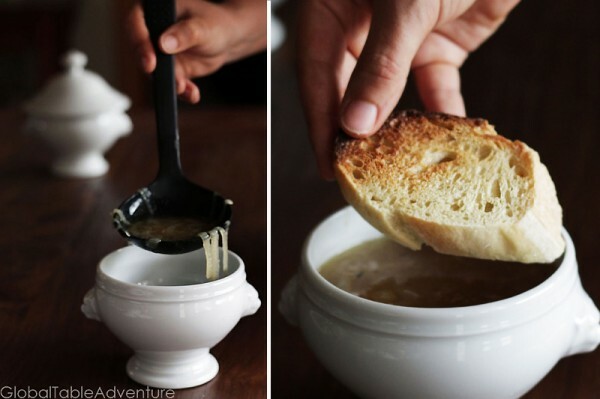 Ladle into heatproof bowls and top with a crusty crouton and cheese. Place under broiler until the cheese is browned. You made me cry. Now I’m off to chop onions. Good – get it all out!!! 😀 A little known secret – the more it makes you cry, the better the soup. 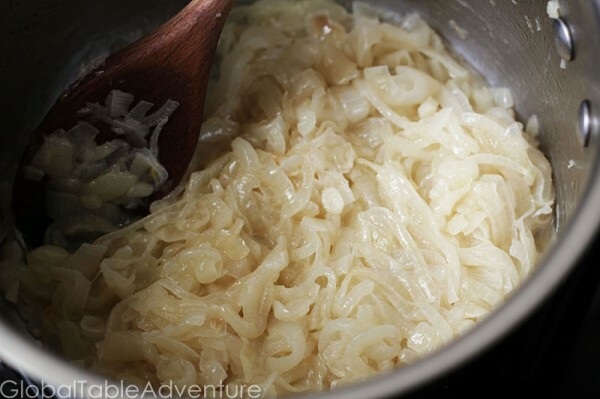 I can't get over how delicious those onions look in that picture, and the cheese…slurp! Yes, it’s one of my all-time favorites. I even made it with champagne once, because I was out of white wine. Yum! Lovely, creative post. 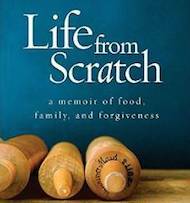 i like the personal story weaved into the cooking. 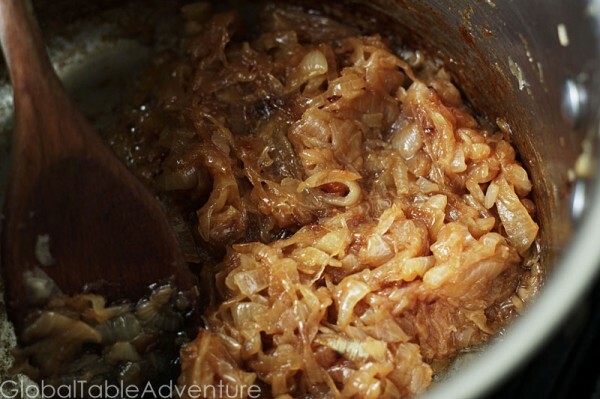 Especially the bit about when the crusty bits are gone how you can move freshness into your heart. . . .
My recipe is much the same, but I use stock (usually beef) and throw a bit of sherry in there for flavor. One of my personal favorite dishes. 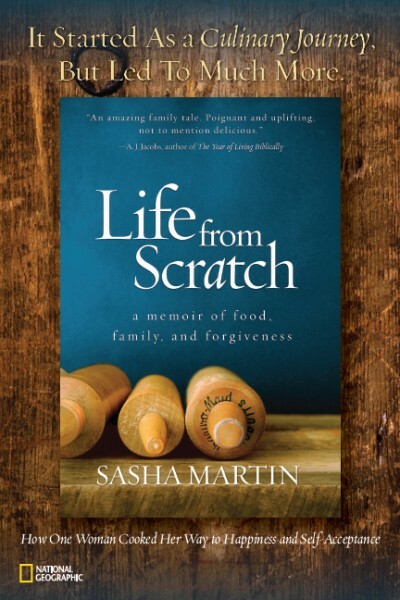 This is by far the most heart warming recipe I have come across. I have a younger brother who is the world to me and I love to cook for him. He understands my food better than anyone in this world. You made me cry.. Thanks for such a beautiful recipe. What size pot do you make the soup in? The largest I have is 5 quarts, will this do? Previous PostTo like or to love, that is the question.